To use iCloud, first set up an iCloud account. At this point, Apple doesn’t offer an option of autodownloading video content using these settings, probably because video is such a memory and bandwidth hog. You can always download video directly to your iPad through the iTunes Store app or sync to your computer using iTunes to get the content or through the iTunes U app for educational content. 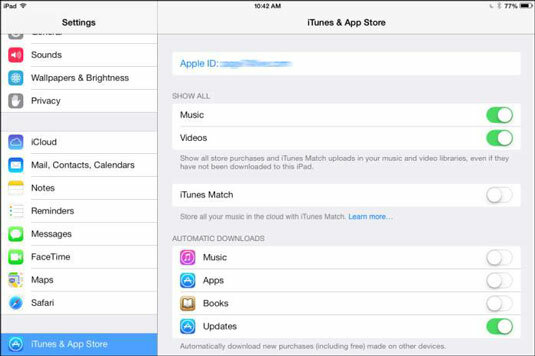 Authorize purchases from an app by turning it on here.